Everyone is going to experience stress at work at some point in their professional career. The fact is that stress is going to happen, but how you decide to handle it will contribute to your success and well-being. There are a lot of causes to stress, but workplace stress is by far the leading cause. 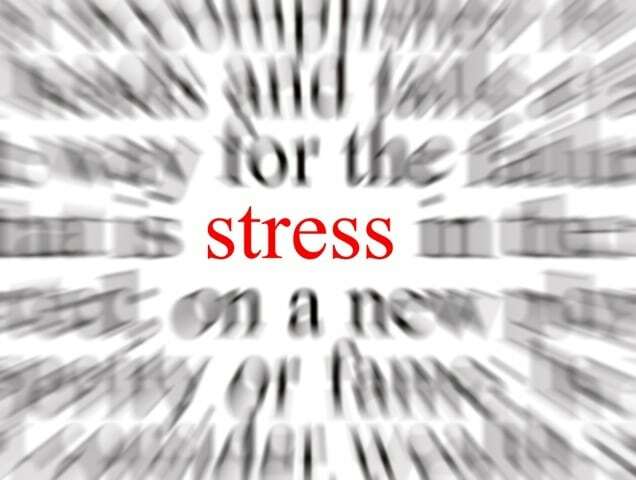 According to the American Institute of Stress, 46% of stress is due to workload. Things such as heavy workload, a boss, a co-worker, financial security, and more can cause a business professional to be stressed. Stress can lead to other health issues if not taken care of. Depression, anxiety, sleep problems, autoimmune diseases, digestive problems, skin conditions, heart disease, weight problems, reproductive problems, and thinking and memory problems are all things that can happen to the body if stress isn't probably handled. Being active can help you live a healthier life while distracting you from what is stressing you out. Exercising can give you a peace of mind and contrast from the stress at your workplace. The food that you eat can affect the mood you are in as well. Eating foods that are high in sugar, refined carbs, and highly processed can worsen your stress symptoms. When having a stressful time try to avoid those types of foods and eat fresh fruit and vegetables, omega-3 fatty acids, and high-quality protein. You would be amazed how much better you feel after eating well-balanced meals. Sleeping is a way for your brain to power down and have a break. How many hours you should sleep depends on a lot of variables, but in general, everyone should have about 8 hours of sleep a night. Lack of sleep can 100% make your stress worse. If you are feeling stressed let someone know. Keeping things that are bothering you to yourself is just going to make your stress much worse. Tell your family or friends about what is stressing you out. Just the act of telling another person will make you feel a lot better about the situation. Different experiences can make people feel happier. Whether it is listening to a specific genre of music, petting a dog, playing a game, smelling a certain food/drink, etc. Find the thing that makes you instantly happier. This can help your stress go down significantly. 6 Characteristics all Successful Entrepreneurs Have.